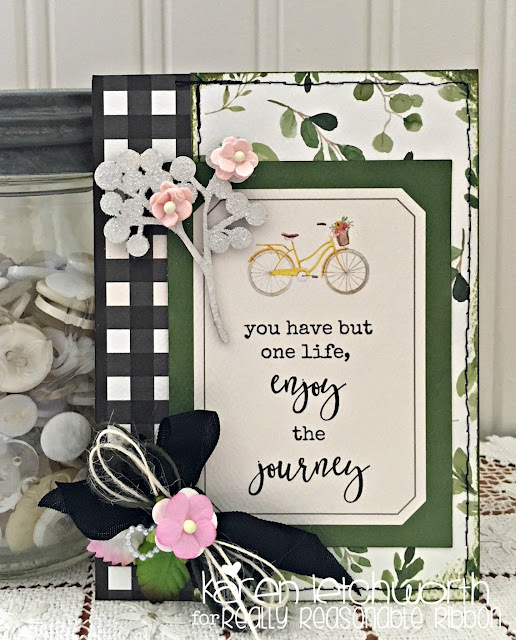 Welcome by today, everyone, and thanks for stopping by as I (Karen Letchworth) share a card I created for Really Reasonable Ribbon showcasing just a few of their MANY lovely trims and embellishments. 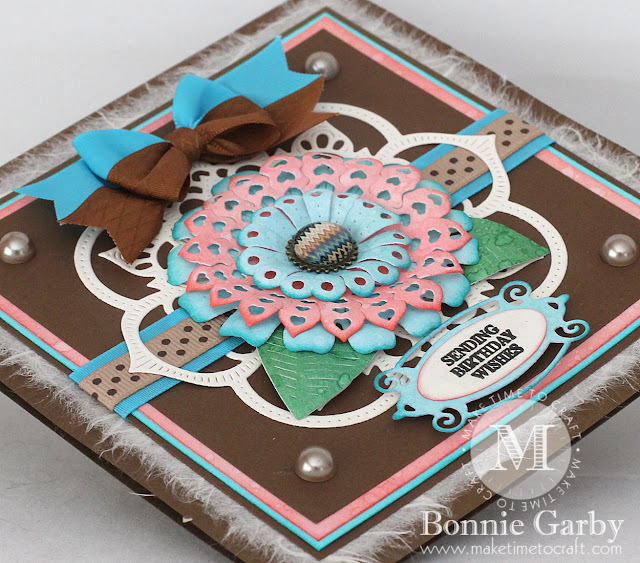 This card was put together with several different pieces of patterned paper that I attached using a fabulous Adhesive called Scor-Tape. It secures your cards together so that they will stand the test of time when their recipients receive them. I know my Mom likes to display hers, and another friend of mine cuts off the fronts and uses them as bookmarks; so I like using an Adhesive that I absolutely KNOW won't start falling apart like cards tend to do when you don't use a quality Adhesive. 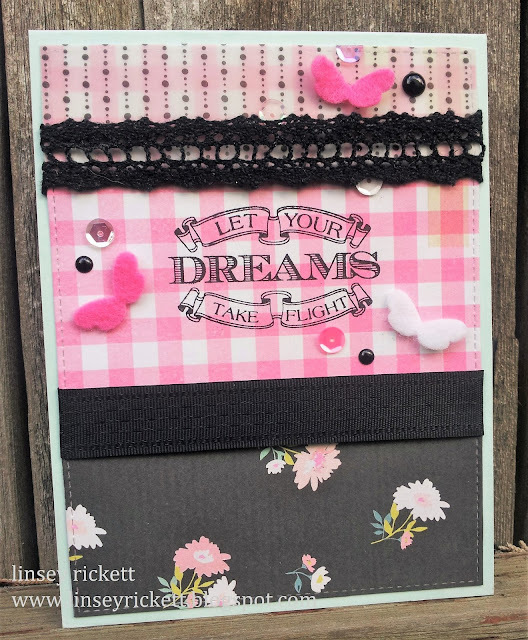 Just sayin'....Really Reasonable Ribbon carries several fabulous Adhesives (for various projects) that will hold your cards and mini albums together so that they'll last....and last, and last. Once I had my card base together, I did a bit of machine stitching on it....just for fun. 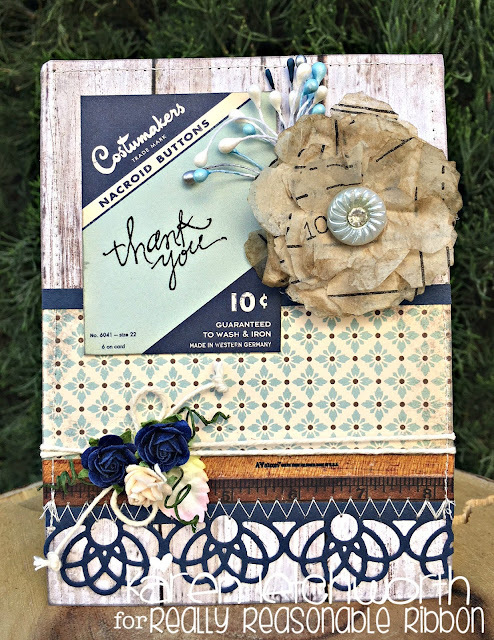 I added a small journalling card with a rub-on sentiment (thank you), and I also added a flower that I die-cut from several sheets of inked vintage dress pattern, and I placed a vintage button in the center of the flower. I tucked several sweet Double Head Stamens under my flower including some Baby Blue Double Head Stamens, White Double Head Stamens, and Silver Double Head Stamens. Then, at the bottom of my card, I ran a length of Solid Natural Baker's Twine that I knotted and tied into a bow. I topped that with a 35mm White & Green Mulberry Leave, one 15mm Ivory Open End Rose, and two 15mm Royal Blue Open End Roses (which, in my personal opinion are a bit more navy than they are royal, but.....that's just my opinion. They do match my navy papers nicely, so they work for me. I honestly think they pull from the colors around them.) 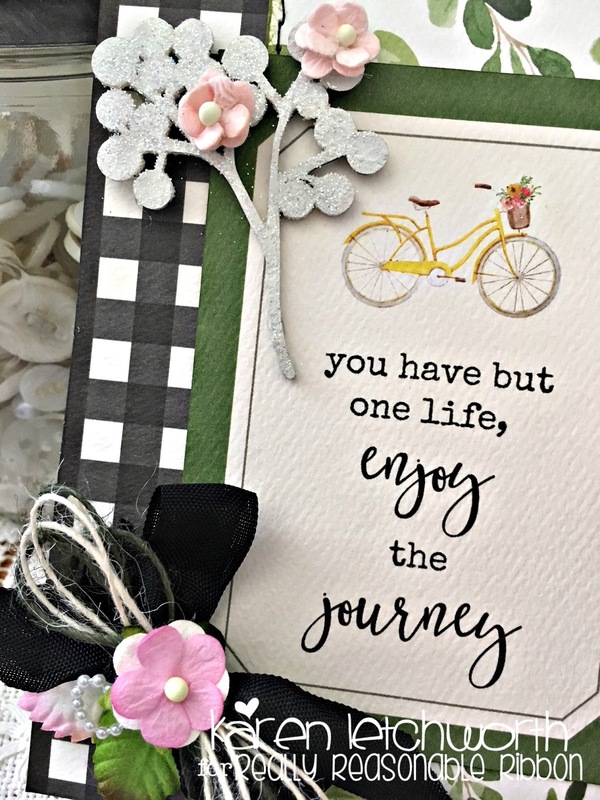 One thing is FOR SURE....Really Reasonable Ribbon has all the perfect ribbons, trims, Mulberry Flowers, Adhesives and Embellishments (plus SO much more) to match ALL your projects. 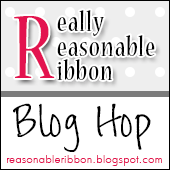 I hope you will check out the Really Reasonable Ribbon Shop and treat yourself today! We're always here to help and to inspire. Please let us know if you have any questions. And please stop by again soon for even more inspiration from my talented Design Team-mates. The creativity never stops here at Really Reasonable Ribbon. We hope that you will visit us often so that you won't miss out on any of the fabulous projects, special sales and promotions, and SO much more. Do you love and collect vintage jewelry as much as I do? I created this fun and easy jewelry holder out of spools of old crochet thread, using some beautiful ribbon and embellishments from Really Reasonable Ribbon. I stacked the crochet thread on an old spool glued to a metal jello mold. Then, I wrapped the bottom thread ball using the Silky Crush Champagne Ribbon., slipping on Rhinestone Buckle Ribbon Slider before tying the bow. Next, I added the Vintage Flower Charms to the top crocheted thread. Now, start filling your crochet balls with your vintage treasures! Hello, Friends! 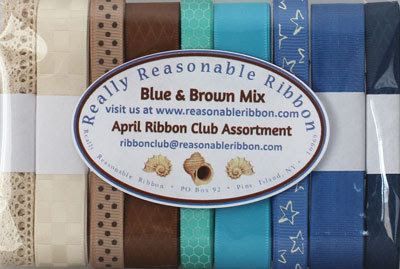 Have you been enjoying the March Ribbon Club Assortment as much as I have? I love that the Blue and Brown Assortment of ribbons is so versatile. Today, I'm using one of the Tan Select Swiss Dots Grosgrain w/Turftan Brown Dots on this masculine "Saddle Up!" card. 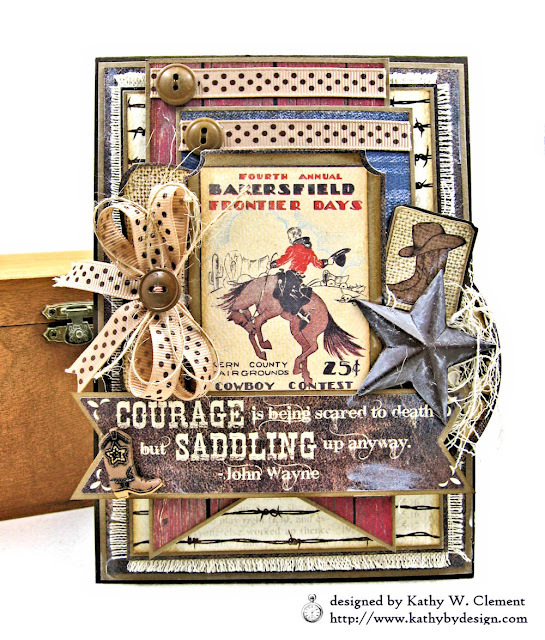 Using ribbon on a masculine card can be challenging, but this Tan Grosgrain Ribbon is the perfect accent! I used my Zutter Bow-it-All Tool to tie that stylish double loop bow beside the focal image. Then I topped it with some Natural Burlap String. I also attached a length of this same ribbon along the top edge of both banner flags, then topped it with a vintage button. 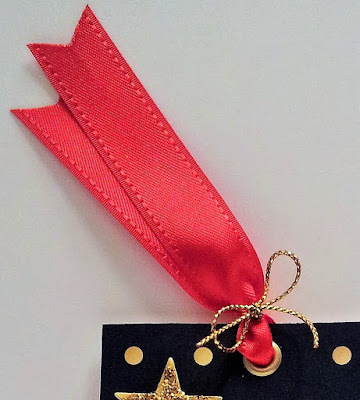 It's easy to attach ribbon with Scor-Tape, and it adds lovely texture to any project. Here's a peek at the inside of the card. I added a gift card pocket, then tucked in a miniature chocolate treat. I'm pretty sure that even cowboys love chocolate! 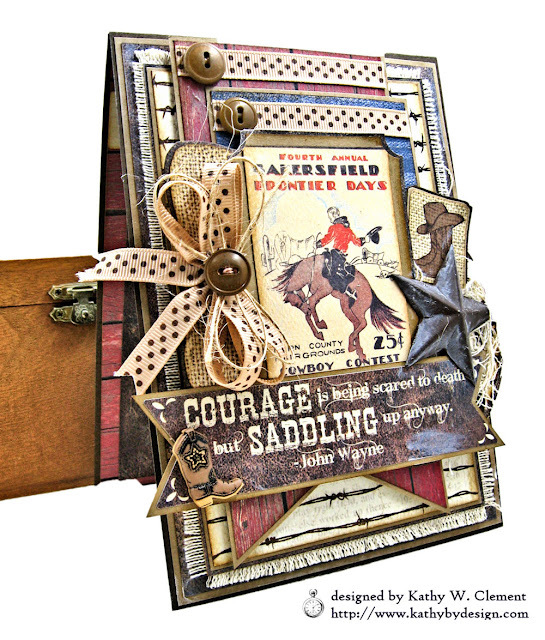 This would be a great card to make Dad...and Father's Day will be here before we know it! As you can see, I used two coordinating pieces of patterned paper and divided them with a strip of Delicate Stitched Satin Black ribbon. Then I layered a piece of patterned vellum over the top portion of the pink gingham paper and divided the two with a strip of May Arts Crochet Lace. This is a really easy and fast way to make a unique card base in which to build on. 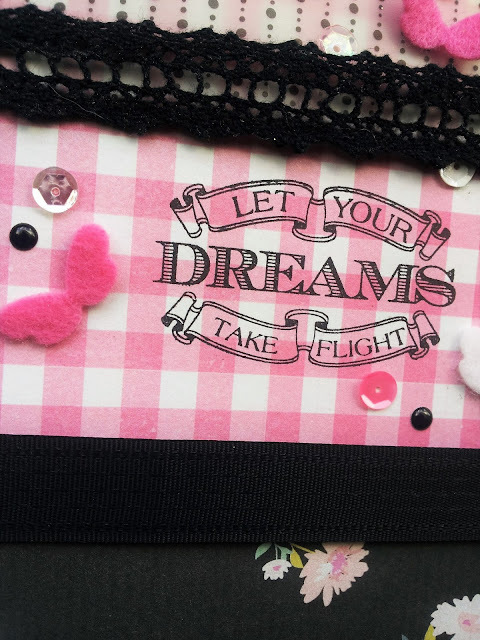 I stamped the sentiment as close to center-middle as possible, then completed the card with 3 miniature felt butterflies fluttering around and a few sparkly sequins and enamel dots. 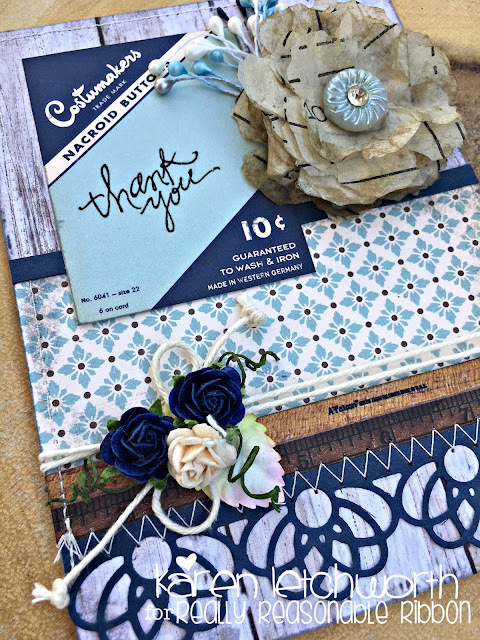 Thank you for stopping by and letting me share my card inspiration with you today! Until next time, happy crafting! Hello crafty friends and Happy Friday to you all! Today's Sweet Happy Hellos Kitty card was designed for Really Reasonable Ribbon using the beautiful Delicate Stitched Satin Ribbon along with the beautiful flowers that RRR carries. Love all the different flowers mixed on my card for today. 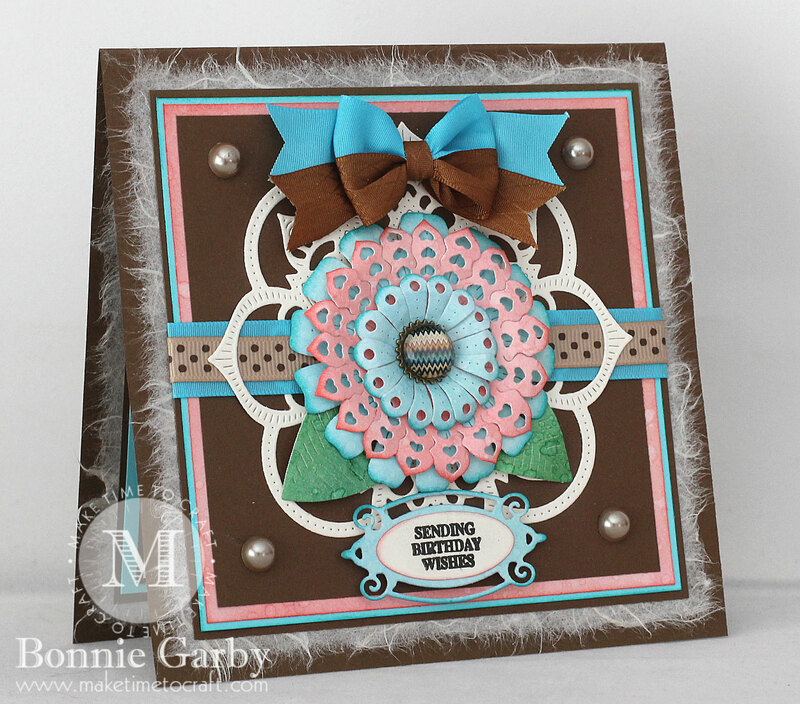 I had fun creating this sweet kitty card with the 3 layers and the bows. The bows were made using the Light Coral Delicate Stitched Satin Ribbon and then I also used the 3-D foam squares, and Scotch Refill ATG tape to put my card and layers together. The dies are all from Cheery Lynn, and I love using these! And lastly I added some sewing to each layer. Thank you so much for looking and have a nice day! Hello there friends and happy Thursday to all of you! Today I'm not sharing a card. No really. I actually made a magnet. Well I didn't make the magnet...I just glued stuff to it. And by stuff I mean a lot of stuff...and a shaker. Isn't this the sweetest collection? It's Miss Betty and I love it so much! Also the inside is a shaker so that's more funner. 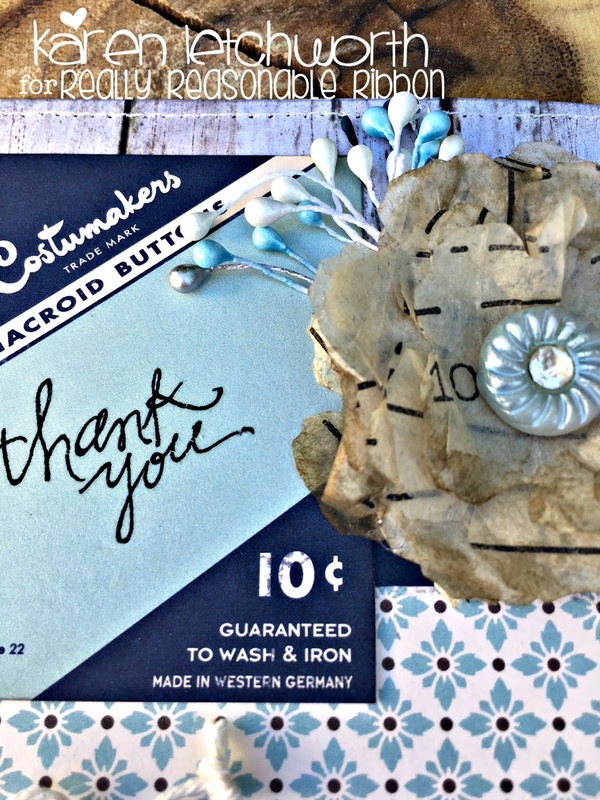 I added some pretty vintagy lace to the bottom of the tag for an extra grandma chic touch. The perfect chevron bow to coordinate with the die cut flowers. The back has a magnet so this sweet little tag can be used on the fridge to hang up the coupons and school pics and other important necessities. Really Reasonable Ribbon~ Chevron Striped Twill in Pink, Ivory Burlap String, Arianna Natural Crochet Lace. Welcome by again, everyone! Spring is finally here, and it's a great time to do some SHOPPING for new crafting items. Really Reasonable Ribbon has so many fabulous ribbons, trims, flowers, and so much more to help you create something amazing. I hope that this little card inspires you to pick up some new goodies and create something special to celebrate the first signs of Spring. The patterned papers and journalling card are from a line called Spring Market by Carta Bella, and I just love them. As always, when I go to Really Reasonable Ribbon, I can find all the perfect ribbons, trims and Embellishments to adorn this line. Because Really Reasonable Ribbon carries such an amazing assortment of everything, you will never struggle to find the perfect colors to match any line you're working with. That makes it so much easier....they really have every color and every style. I kid you not. This sweet little card was machine stitched and inked. I added a couple of Miniature Sweetheart Blossoms from the Mixed Pinks collection to the top of my card (on the wooden piece). At the bottom left of my card, I added a sweet little bow that includes Black Seam Binding, Olive Burlap String, Ivory Burlap String, one 30mm Green and White Mulberry Leaf, one 30mm Green Mulberry Leaf, I tucked in a 11mm White Heart Shaped Flatback Immitation Pearl Accent, and it's all topped with a Pink Sweetheart Blossom. 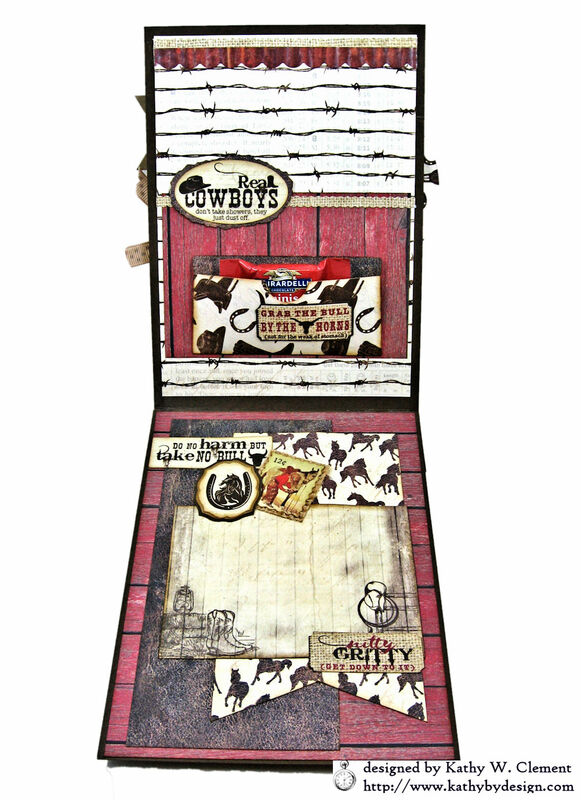 You're sure to find the perfect products for all your crafting needs. It's Spring! Time to treat yourself. Enjoy! I choose the cream tones, but why not grab a few ribbon and lace choices and mix and match with your outfit? Every time I wear this necklace, I am reminded that I am blessed beyond measure that the Mom God blessed me with. Isn't this assortment great?? It contains 9 styles and a total of 17 yards of ribbon and crochet lace. If you aren't already a ribbon club member, why not join us today! 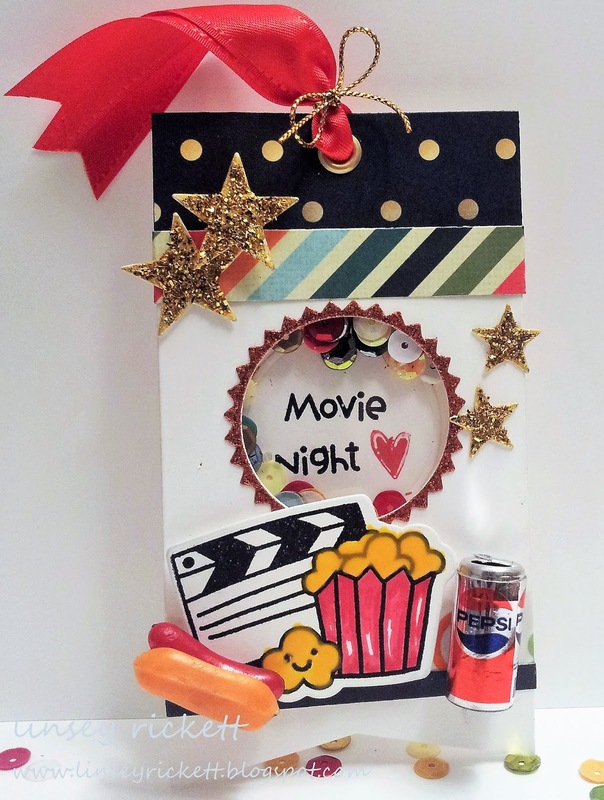 You will get a fun new ribbon assortment shipped automatically each month. What is your favorite beach or vacation activity? Our winner will be selected from the numbered comments on this post on Tuesday, April 17th. Be sure to check back on Tuesday evening to see if you are our lucky winner. Hello, Ribbon Lovers! Spring must well and truly be coming, because I spotted my first buzzing bumblebee yesterday! He was just hanging out on the deck, catching some rays. It did my heart good to see him, and it also inspired me to make this Queen Bee Mixed Media Card with beautiful Really Reasonable Ribbon. I happen to love bees, so any time I see bee themed crafting goodies, they have a tendency to wind up in the Closet of Shame. 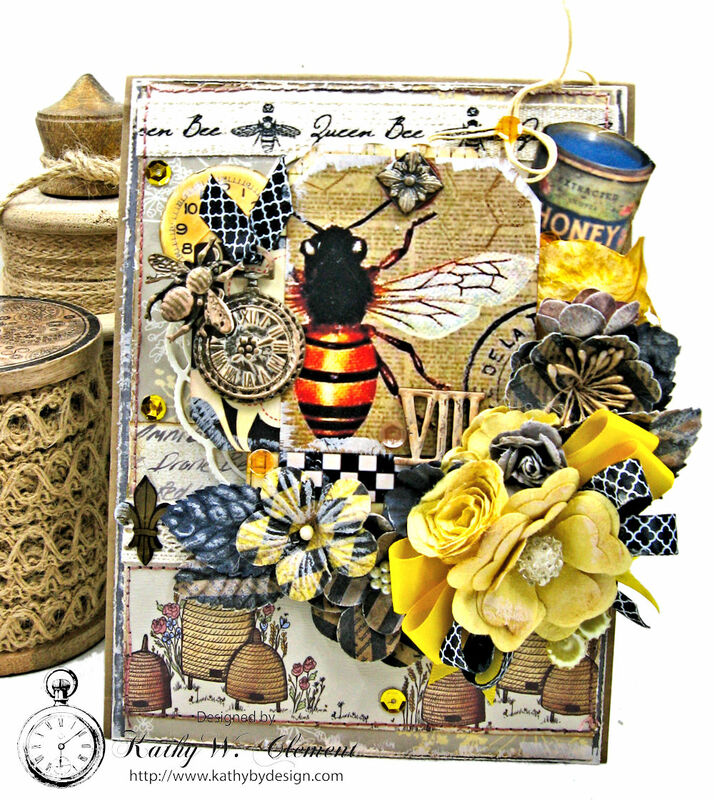 This 5" x 7" mixed media card features a digital image from our very own Ginny along with some bee themed papers I found a while back. Maize Taffeta Ribbon and 3/8" Black Quatrefoil Print Satin add just the right pop of color and texture to this collage. Pockets filled with sweet treat can be found inside the card. I've topped this Staples Square tag with more of the Black Quatrefoil Print Satin ribbon, Burlap String Bow and some sweet WOC Open Roses. 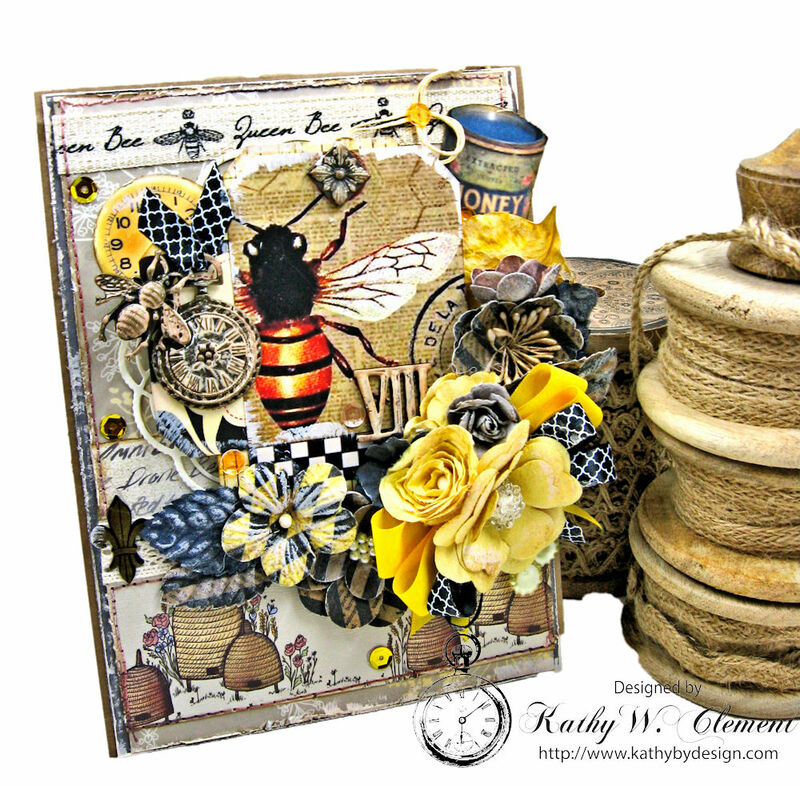 Crocheted lace adds another textural element to this mixed media collage tag. Then I created a little tea wallet to tuck in the upper pocket. This darling journal card is another digital image from Polly's Paper. Here's a great way to use up those little leftover pieces of ribbon. I've hot glued them under the vintage button! It adds such a nice finishing touch, and gives a ribbon scrap a new life. 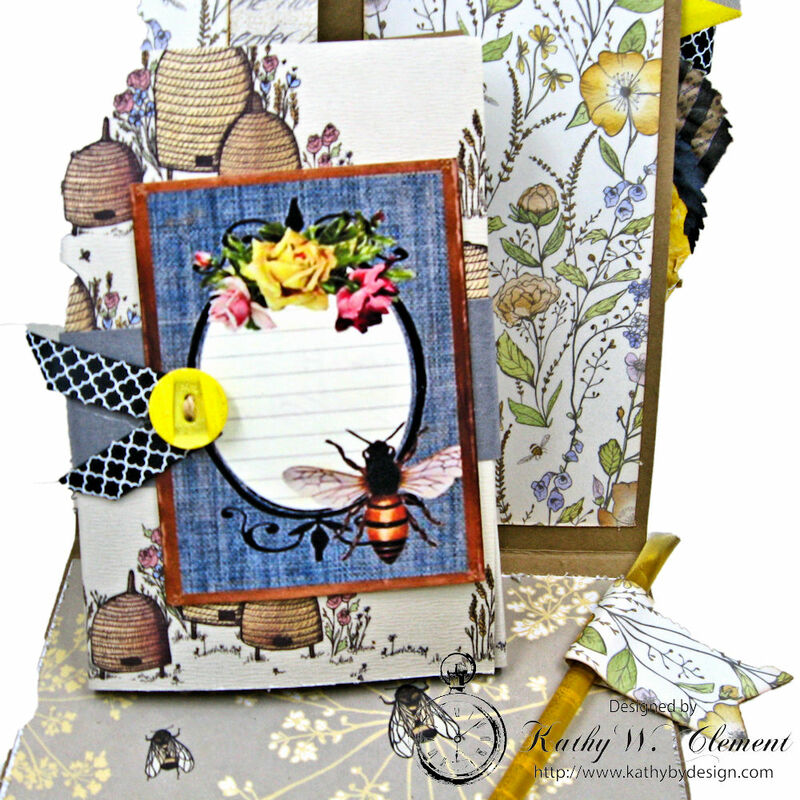 And if you're making a bee themed card, you'd better include a honey stick to go with the tea, right? All this talk of bees and honey and tea has caused me to crave a cuppa! Thanks for stopping by! This tag was put together on a whim because I wanted to use up some of the paper scraps and other leftover do-dads on my craft desk. So I went to town with nothing particular in mind and this is what came of it. I looped a beautiful piece of 5/8" Satin with Grosgrain Edge Poppy Red through a gold eyelet hole at the top and tied it at the base with a small piece of Metallic String Gold. I think it would fun to attach this tag to a movie theater gift card or even a set of movie tickets and give as a gift for any occasion or just because! That's all for me! Thank you so much for stopping by and until next time, happy crafting! I'm here today to share a Birthday greeting card I created with the Ribbon Club Assortment for April. This is a lovely earthy collection just perfect for summer and beachy projects. I selected two of the ribbons and the lace for this card. I think it coordinates with the paper collection perfectly. To achieve the fullness in the bow that I usually get with thicker ribbons I simply added another loop set so it will be nice and poofy. 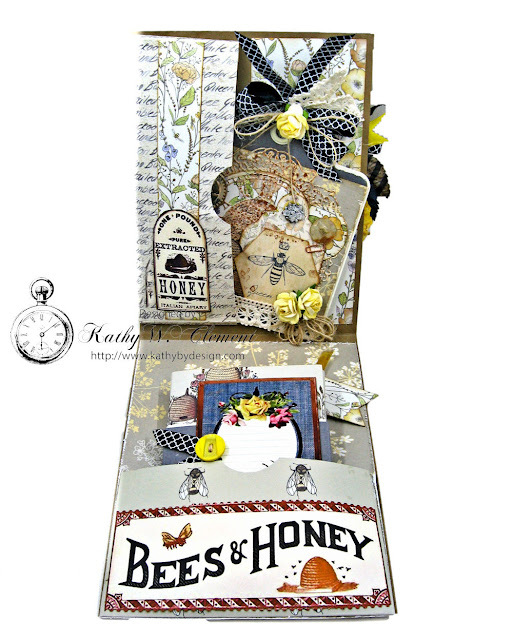 The inside of the card is finished with the same layered papers as the outside. For this layered ribbon look I wanted the color of the grosgrain ribbon but not the busy polka dot pattern so I simply added it upside down. These fabby flowers are the Chrysanthemums and the Mixed Peach Cottage Roses. Last but not least two tiny loopy bows created with Natural Burlap String are tucked into the arrangement.